You probably know that it's never too late to begin orthodontic treatment but when it comes to your youngster's teeth, did you know that earlier may be better than later? 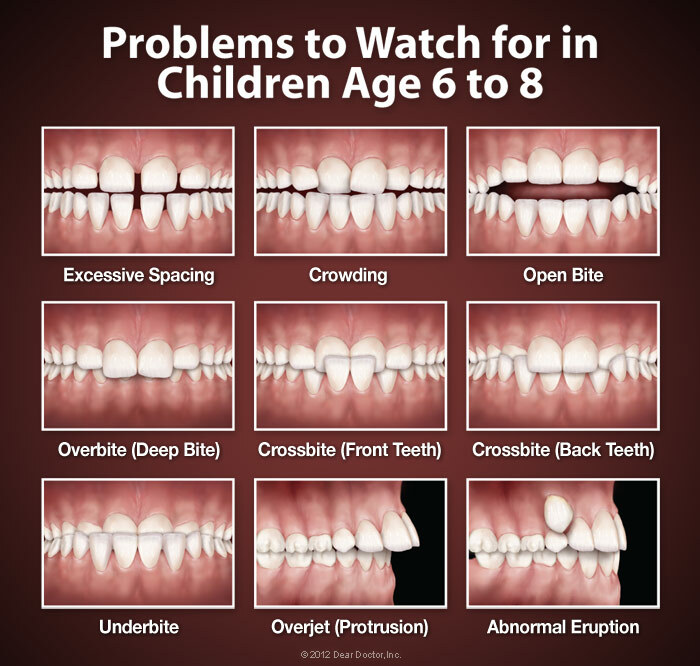 According to the American Association of Orthodontists, kids should have an initial orthodontic screening at age 7. What makes early evaluation and potentially, early treatment so important? Although every child's development is different, in most kids the first adult molars have typically started to emerge by around age six. This, along with other developmental markers, lets us get a handle on the basic alignment of the teeth, from front to back and side to side. It may also be possible at this point to determine whether there is adequate room in the mouth for all of the permanent teeth and, if not, to take action. One is severe crossbite, a condition where the upper teeth close inside the lower teeth. To treat this problem, a device called a palatal expander can be used, which gradually and painlessly widens the upper jaw; it's especially effective when the jaw itself hasn't fully developed. If we wait too long, a more complicated treatment or even oral surgery might be required to correct the problem. At one time or another, anyone may pick up a bad habit. But there are some situations where a youngster's parafunctional(detrimental to health) habits can actually influence the development and function of his or her teeth, jaws and mouth. Some examples of these are persistent thumb sucking, tongue thrusting and mouth breathing. Mouth breathing an abnormal breathing pattern in which the mouth always remains open, passing air directly to the lungs is related to alterations in the muscular function of the tongue and face. It may cause the upper and lower jaw to grow abnormally, which can lead to serious orthodontic problems. Although mouth breathing may start from a physical difficulty, it can become a habitual action that's hard to break. Various orthodontic treatments are available to help correct these parafunctional habits and the sooner they're taken care of, the less damage they may cause. But these potential problems aren't always easy to recognize. That's one more reason why you should bring your child in for an early orthodontic screening.